Acceptance Day Parade at the United States Military Academy at West Point on Saturday, August 15, 2009. The new cadets will join their companies on the Plain and be officially welcomed into the Corps. 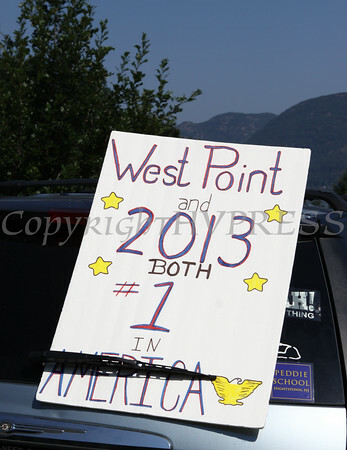 A sign reads: West Point and 2013 both #1 in America. It was on a parked vehicle during the Acceptance Day Parade at the United States Military Academy at West Point on Saturday, August 15, 2009. The new cadets joined their companies on the Plain and were officially welcomed into the Corps. Hudson Valley Press/CHUCK STEWART, JR.